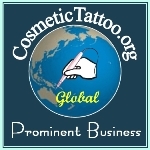 Here you will find consumable hygiene supplies that are frequently used by Cosmetic Tattooists before, during, or after a procedure. Apron Plastic x 15, Plastic Disposable Apron suitable for use during your tattooing procedures or for use during cleanup procedures. Isopropyl Alcohol Swab 70% - 200/pack, Useful for disinfecting those smaller items. Plastic Barrier Wrap can be used to cover the edge of your mag lamp, leads and cables and other equipment in your salon. Provides a disposable protective barrier that helps prevent equipment in your salon becoming sources of fomite cross infection. Barrier Wrap Dispenser keeps your wrap hygienically clean and allows you to easily see how much barrier wrap remains on the roll. Barrier Wrap sold separately. Clinell Universal Sanitising Wipe - 100/pack, Useful for disinfecting hands, procedural surfaces, and equipment. Wearing mask during a procedure helps prevent splashes of bodily fluids and procedure liquids entering your mouth while tattooing. It also helps prevent micro-organisms from your breath contacting with your clients broken skin surface (due to tattooing). Finger Cots x 100 (Machine Covers). These clean (non sterile) cots are the best thing that I have found so far for providing a protective covering for a Bella Dragon BM8 motor assembly during a procedure. I clean the machine and cot with isopropyl alcohol, apply the cot to the machine, and then clean the cot again with isopropyl alcohol. Gloves in a Bottle is the best protective hand cream that I have ever used and you only need to apply a tiny amount with each application, this sample card is a good way of trying a single application before purchasing the twin pack. Large Isopropyl Alcohol Wipes 70% - 75/pack, Useful for disinfecting procedural surfaces. These clean (non sterile) barriers are ideal for providing a protective covering for a wide range of hand tools and instruments. I clean the equipment and barrier with isopropyl alcohol, apply the barrier to the equipment, and then clean the barrier again with isopropyl alcohol.